Shareena, was added to our family team in 2004. She is a master embroiderer, who continues to execute phenomenal work for our customers. Shareena is a mutlitasker who is well organized and maintains amazing customer service qualities. She is a great fit for our small family business and is always a team player! 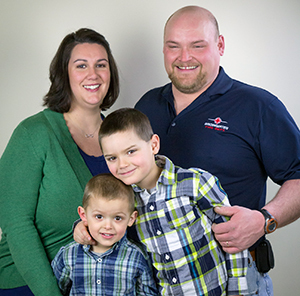 Shareena resides with her husband Beau and 2 sons Blaine & Oliver in Bridgewater.